With only half an hour before Allistaire would be done with school, I ran to the 5th Floor PICU, sweating in my shirt and wool sweater, boots heavy. With sweater stripped off, I donned the ugly pale yellow gown and one blue glove. As I drew back the curtain and entered the room, heat slammed through my body, my hand shaking as I struggled to get on that last glove over a hand slick with sweat. All strength left my legs; I felt as though I might collapse. What here? What is happening here? But the reality was glaring, my eyes closing against the intensity of the scene before me. Breath caught in my throat, gagging. The family so gracious, holding onto me, arms around steadying. Who am I to be comforted when before them lay the unfolding of all of our worst fears, this brutal culmination of years and years of struggle? But I had been in that room only two days before. We knew it was bad. She was breathing fast, her little chest heaving in rapid expansions. The fungal infection could get worse before it gets better the infectious disease doctors had said. It seemed it could go either way, but of course, we hold out hope, she had already overcome so much, so much. But now, the way was clear. Her mom and dad huddled around her, straining with all their flesh and heart and spirit to attend to her, this small girl the magnetic center of that room, all bodies and faces turned, intent, alert, stunned and mourning. They would do anything, anything, anything in all the universe to care for this precious, beloved little girl. Her dad adjusting the oxygen, a little here and there, her mom rubbing her tummy, speaking words of love to her daughter, declarations of how proud she is of how bravely and hard she fought, but now, now, little love you can rest, rest. It was agony, I felt my heart being gouged out. Trembling, tears flowing but utterly insufficient to bear the tide of sorrow, just plain core sadness, pervasive, total, absolute. I glanced up at the monitor, her little heart pounding a hundred and sixty, a hundred and seventy beats a minute, a sprint, a desperate determination to keep her going. The nurse bends in low and Heather asks if it’s near. The end will come, but it is not yet very near. I have to leave, I have to go get Allistaire. Someone asks where she is and I say school and the contrast of my little girl, bright and bursting with life enjoying school felt so awful in light of the struggle playing out before us in this little room packed with family and machines. I had commitments the next few hours, I would try to come back. The pink never left my cheeks, a flushing like overdone blush. My socks cold from sweat and shirt soaked, everywhere adrenaline drenched cloth. I shed off those clothes and prepared to go back, back into a room where I imagined she was likely already gone. I wanted to go, I wanted to be there for my friend, if only to stand witness to her pain, to honor her daughter’s sweet spirit, but, oh how I didn’t want to intrude on so private a space. I was welcomed in. The two of them lay in the bed. It had been a few hours since Lilly’s heart finally gave out. She looked merely asleep, her chest still, tucked into the curve of her mother’s side. I could only gasp, “oh, oh…” Heather called me over and I sat there on the bed with them, her small, cool hand and her mother’s warm hand clasped between the two of mine that could not stop trembling. Through stuttering heart and mind, I fumbled to call out to the Lord. Oh Father, Father…we are so small, so very small and weak, so frail in this dust, this life that comes and goes like a vapor. Have mercy Lord, mercy, remember that we are formed of mere atoms, and yet, yet…we are of infinite value, staggering beauty, eternal beings because you have made us in Your image. We mourn so mightily because we grieve for more than flesh, more than cancer cells and heathy cells and donor cells, we cry out for we will desperately miss this little bright spirit, this eternal being, this little child, Lilly. And here we sit, in this deepest dark of the year, as the earth veers toward Winter Solstice, our hearts groan in the dark. Our chests heave in agony, in the weight of this broken world, so devastatingly broken. Isis and ragged, desperate refugees, shootings everywhere…broken bodies ravaged in an attempt to eradicate disease threatening to consume. Yet we wait, we wait expectantly. It is the season of Advent, of anticipating the coming of Christ, the promised Savior, God Incarnate, Emmanuel, God with us. Christ who came in frailty and would die in frailty. And yet, in His very death, when He seemed the weakest, He in fact demonstrated His incomparable might and holiness, Jesus Christ overcame sin and death – He overcame. In this pressing darkness, hope, hope and a promise of resurrection, of redemption of all our sorrows, of a world healed and whole, with no more tears. Oh, Jesus, in you we place all our hope. Though my flesh it be destroyed, yet with my eyes I shall see God! As Heather stroked Lilly’s gorgeously soft strawberry blonde short little hairs, she looked at me with eyes weary, glistening with tears, but clear, clear. “You know, Jai, you know how you wrote about being able to imagine a good life with Solveig even if you lost Allistaire? I can imagine a good life with my boys, always an absence, but a good life.” She spoke of peace, peace and rest that this fight at long last has come to an end. No more fighting. No more struggle. “Yes,” my heart repeats. This is the exact scenario Dr. Cooper has warned us of, “going down in flames from an infection in the ICU.” It has been like living out a scene from our own lives. It could have just as easily been Allistaire, it may still be. But there is peace, rest that you went just as far as you could go. You press forward, slashing the limbs before you, a barrage of barriers, you hack your way forward. How does one give up on these bright, flashing little girl spirits? Lilly, Stevie, Allistaire battling that foe AML with ferocity and wild resiliency of childhood. Can we as their mother’s give up? Can we hand them over? We will no let up, we will not cease our straining forward until at last the time may come when there are no more doors. Rest, rest in peace sweet child. You need struggle no more. You have been released. Yet, having borne witness to this day, I am all the more determined to walk forward. Yes, this too may be the end of Allistaire, but like Lilly, we will fight to the last, and then, then when the time comes to rest, rest. I lifted her hand, kissed her little fingers. 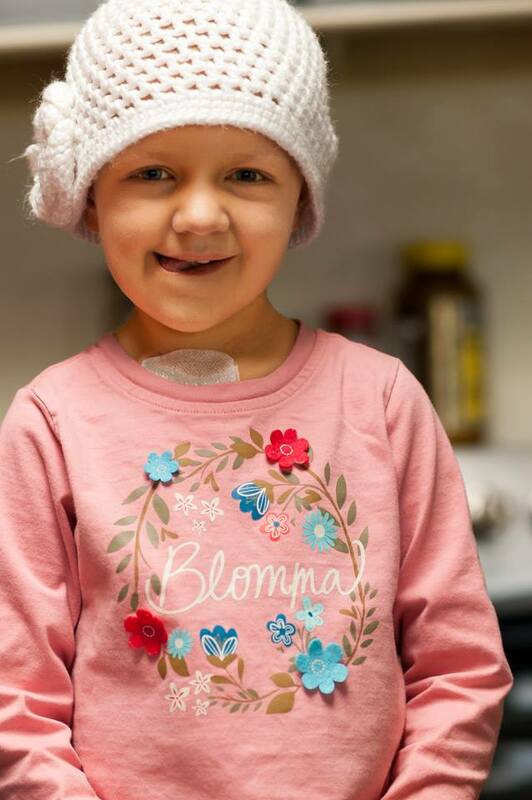 I rose from the bed and stood in the circle of those who have known and loved and cared for Lilly all of her eight years, through all of her eight years of battling this menace, leukemia. I looked in on sacred ground, intimate, precious moments. Lukkes, Lilly’s big brother, had climbed into bed next to his little sister, Heather’s arm encircling two of her children. “Is today December 4th?” he asks? “No, no I think it’s the 3rd.” Silently I gasp knowing how this date will be ever deeply imprinted on each of their hearts, this line between a life with Lilly and a life without her. I glanced up and was struck by the sight of the IV pole, encumbered with numerous pumps but everything dark, the syringes of meds still attached, but at the floor a tangle of tubing and stickers, disconnected. The monitor black where once bright green and pink and blue lines and numbers flashed declaring details of life, of a beating heart and breath. The child life specialists had taken casts of hands and a silvery print of her hand now adorned a clear glass ornament. They worked in silence, in reverence. Callie, who delights to play with Allistaire and to whom Allistaire rushes to hug, was now in this room carefully preserving tangible memories of the body of a little girl with whom she had played. Some three hours after Lilly’s spirit left behind her broken body there in that room, Heather’s sweet sister, Heidi, leaned over and gently asked Heather if she was ready. A quiet “yes.” I don’t know how she did it. How did she will her muscles to flex, to move the distance away from Lilly, to form that gap of space between Lilly’s side and her own? My heart, already tattered, seemed to find new depths of ripping, deep agony. Was not Lilly’s body formed within Heather’s own? And had she not all her days cared so fiercely, so tenderly, so utterly for Lilly, flesh and spirit? Where did Heather end and Lilly start? The overlapping of beings, how to pull apart that which is integral to the other, woven through all layers…Heidi moved into the warm place left by Heather. And then, Heather leaned in low, looking into her daughters closed eyes, holding her hands, telling Lilly of her tremendous love for her, of the honor it has been to be her mother. Her father, John, head down on the bed, hand clasping her arm. Somehow they stood. Somehow they turned. Heather reached for her coat and the orange parent hospital lanyard, an encircling of orange she would likely never again have to wear. I kissed her cheek. I had to go. I looked down and saw I was the only one wearing the yellow gown and the blue gloves. I was the only one in the room with a child still to protect, a child utterly vulnerable, whose immune system had been laid to waste by chemotherapy. I stripped them from me, carefully washing my hands, aware of the danger of spreading C-diff from Lilly to Allistaire. How do you leave the hospital without your child? How do you even walk out of the room? The next day I drove into the parking garage to take Allistaire to school and to clinic for labs, to see the doctor and get platelets. Many times throughout the night I woke up and there were Lilly and Heather. She will never again have to drive into this cold dark garage. Walking through the halls, through the worn paths between clinic and Ocean Starbucks, past the gift shop, up and down the same stairwells, like hallways of your own home, I was struck…we will never again run into Heather and Lilly. I remember clearly the corner on the 7th floor where we first met, where Heather stopped me and asked if I was Jai. She told me recently that she had prayed fiercely for Allistaire when she was in the ICU, long before we first met. In fact, her whole family was praying for Allistaire. The truth is I am wildly thankful she no longer has to bear this burden so dominating it overshadows everything else. Now she can give attention to her two boys and husband who’ve had to stand in the backdrop for so long. No more labs, no more numbers to dictate your life, no more endless hours in small rooms, closed off from the rest of the world, isolated. It feels like betrayal to speak such things, and yet, what mother can choose between her children? There are two young boys who also need their mom. There is relief in no longer having to choose. My heart is with you dearest sister, strong, beautiful, tender Heather. You have crossed over that line. You have faced a hundred thousand terrors. You’ve endure so much. Our Lord has upheld you through countless trials. And yet before you lies a new landscape, a land with new dangers, woes, joys and opportunities, open doors. Lilly will always be a part of you. You will always be the mother of three children. You will always bear the deeps scars, the wounds of this hard road. And yet, it is my sincere hope that from these losses, these searing tears, beauty will rise up, life will unfurl from death, that the Lord will be faithful to redeem. We wait in the darkness, anticipating the coming light, remembering the first coming of Christ, frail, small, a child. We cry out for His return as powerful King, with the creation we groan, we long for that day when we will wait no more, and all His promises will have been fulfilled. “Through many dangers, toils and snares, I have already come. Thanks sweet girl for your beautiful telling of this moment in time with Lily and her family. Praise be to God our Father for your truthful reminder of the sure hope we have in Christ Jesus. May the God of all comfort be with you and with John, Heather and their family as they celebrate Lily’s life this weekend. Oh Jai, so truly sorry for this loss. Like you, your friends have endured so much. So beautifully and thoughtfully written. Rest in peace little eight year old angel. Jai, I am so thankful that you met Heather! She is a good friend of our daughter, Rachel Hanson. At one point I ask JoMarie to ask you to go meet her…don’t know when it came about. When Heather and John lived in CA, we spent Lilly’s 1st Thanksgiving with them at Rachel’s home, Lilly was diagnosed a few days after that. We’ve been praying for her also, for all these years. Our hearts are broken, but thankful that she is in the arms of Jesus. While I’m writing, I want to assure you of our continued prayers for you, Allistaire and your family. JoMarie is one of the dearest friends I have on this earth, and my heart has hurt for you all many times. I’m praying for the miracle our Lord may choose to do for you…with the firm belief that He is able and in charge, and is good all the time. I am so blessed by your writing and your faith. Thank you. I belong to a prayer group with 6 women. We’ve been together 9 years, and they have also been praying for Allistaire and Lilly all these years. JoMarie met many of them last Dec. when she visited us. Love you Jai. Miss you and Allistaire. Tears. Thank you for sharing sweet Lilly with us. This was a beautiful and heart breaking post. Praying for peace and comfort for Lilly’s family. So grateful for the friendship you forged in the trenches together. Our sweet Lilly will be remembered always. Our thoughts and Prayers are with you daily Heather.